First bottled in 1892, but produced some time before, Mandarine Napoleon was said to be a personal favourite of the Corsican-born emperor, Napoleon Bonaparte. 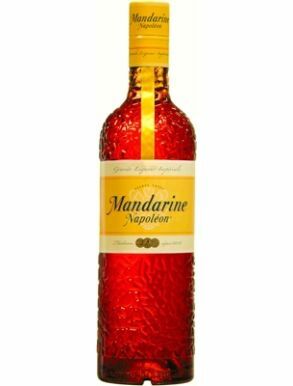 In fact, it was Napoleon's physician, Antoine-Francois de Fourcroy, who first had the idea of macerating mandarines in alcohol and then blending with the finest aged cognacs. Mandarine Napoleon is based on a distillate of only the fruits essential oils and its distinctive flavour comes from Sicilian-grown mandarines (tangerines). Added to this are four spices, rich in essential oils and aromatics, and two types of plant extract - all blended together they help to achieve this unique composition of flavours. Only natural ingredients are ever used and the distictive colour comes from natural colouring - aided by both the ingredients and the wood of the barrel. Mandarine Napoleon continunes to be savoured around the world, just as it was over 200 years ago by Napoleon himself.